Each of configurations below are carefully optimized to offer the best performance. All our systems feature liquid cooling for ultimate silent operation and aesthetics! Our BitFenix Prodigy Mod - Limited Edition - was conceived for you without compromise. Through the various colors of BitFenix, you can create a unique configuration distinctive with the P.W Style. The Prodigy can be customized with our pump and floating reservoir options. 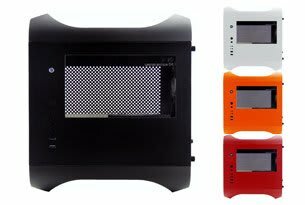 The BitFenix Prodigy Mod side panel has been redesigned to design a window! Need an innovative product for a Mod? 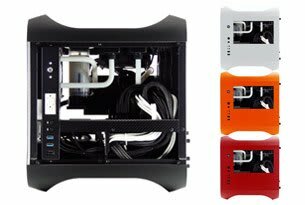 Find unique accessories of your favourite BitFenix cases! 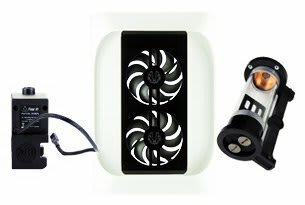 We created beautiful accessories designed for Prodigy / Phenom / Colossus M.
High-end products manufactured in France, stand out of best accessories for PC Modding. Design, manufacture, distribution, PREMIUM WATERCOOLING is a French company looking for performance and aesthetic computers! Each model is unique, embellished with noble materials such as aluminium (midplate), acrylic (clear rigid tube). The models are "customised" according to your desires: choice of colours of the internal cabling, custom Liquid Cooling solution... The proposed powerful components, a strong personality recall evidence "nothing is more pleasant than the originality". Custom Case, designed to satisfy you and express your creativity with our innovative accessories. The range combines style and quality.